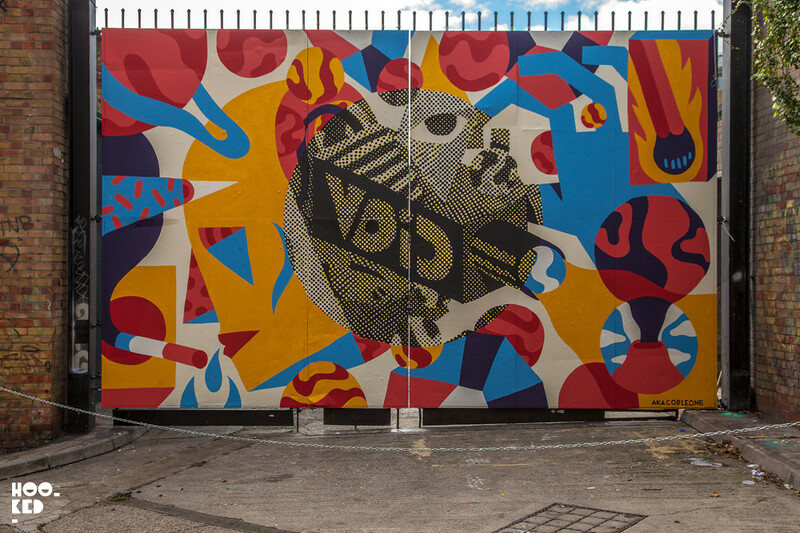 As part of the London edition of the two day Portuguese Art and Music event Festival Iminente recently staged at the Old Truman Brewery in East London, visual artist Pedro Campiche aka AKACorleone was invited by festival curator Vhils to paint the gates of the Old Truman Brewery. The gates have been a popular paint spot in recent years previously seeing work from Conor Harrington & Maser (Previously on Hookedblog), MEGGs (Previously on Hookedblog), James Earley (Previously on Hookedblog) and ROA amongst others - but the last few months the gates have remained for reasons unknown to us void of any art. Thankfully that has now changed with the addition of the Portuguese artists mural work to the gates. 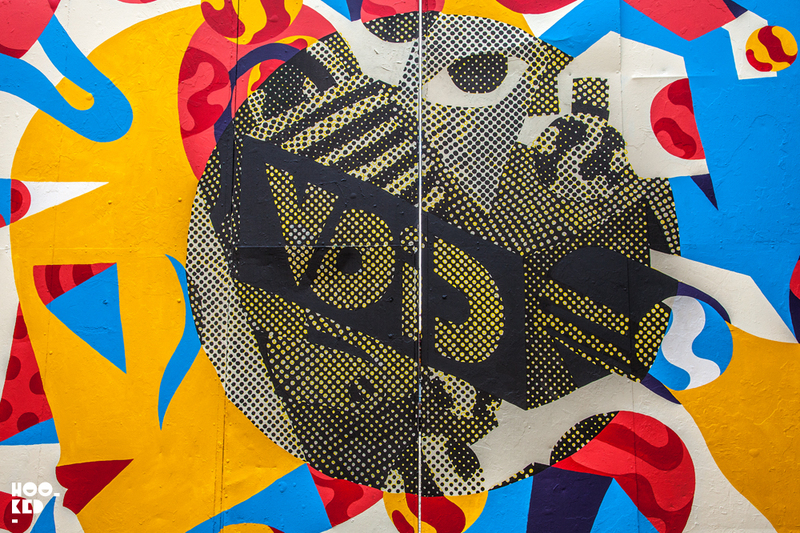 If you missed the Festival Inimate curated by artist Vhils you can see what went you missed by checking out this short film Doug over at Fifth Walls TV put together. 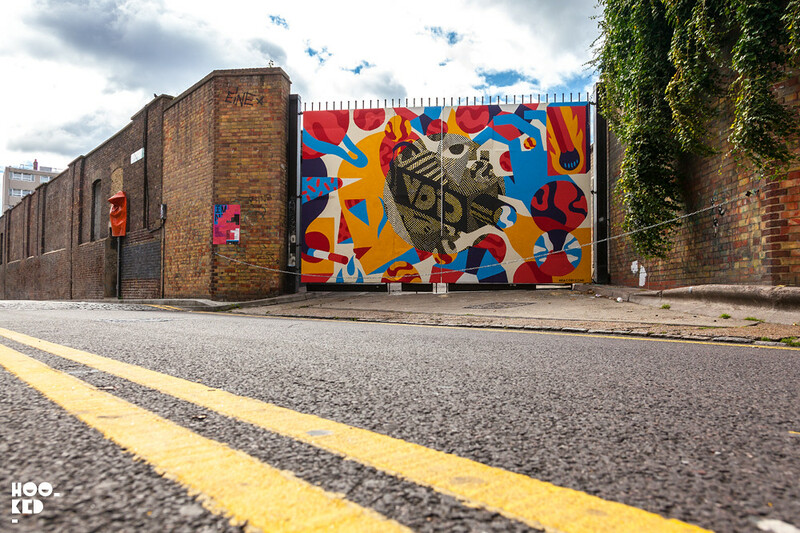 While the festival has now finished AKACorleone's mural can still be seen in person and is located on Buxton Street just off Brick Lane, East London.